I realize we're not a bunch of sports' super fans! I told you I'd keep you updated with what is happening with Poland and the World Cup. But the World Cup is still going on. Croatia beat England to advance to the final which will be held on July 15. The day before the Croatia/England game, France beat Belgium to advance to the final. So what's the fascination with the game Americans call soccer? The rest of the world calls it football. I'm a "social watcher", so I'm probably not the best one to answer that. In other words, I only watch these games because it is popular thing to do - and people are talking about it. I normally don't keep up with the sport, though many do! It's like the Olympics - I don't keep up with ice skating or other things I like to watch during the Oympics! After Poland was no longer part of the World Cup, stores discounted the fan paraphernalia. People discussed 'ad naseum' why they did so poorly. But at least it was a distraction to people from their normal lives - and provided a bit of fun for people. It is much like the Super Bowl is for Americans. When Poland was playing, things were pretty quiet on the streets! So, now, Poland will turn their eyes to the next European Cup - in a couple of years. 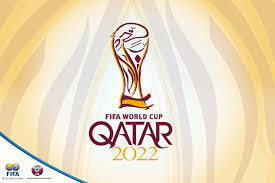 The next World Cup tournament will be in 4 more years in Qatar - maybe Poland can qualify for that one! And while the news wasn't so great for Poland at the World Cup, you can have get great deals from my sis over in the store - doesn't matter how any sports team does - it's totally irrelevant!